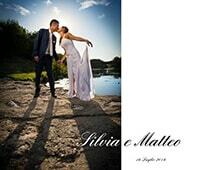 Put the big day in the pages of a beautiful, custom wedding book. Choose from a range of cover types, linens, premium end sheets, and luxurious Mohawk papers. Create your own layout or use one of our pre-designed templates with easy drag-and-drop placement. 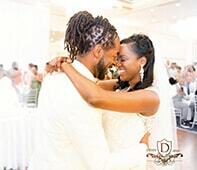 Capture the whole celebration with wedding albums, guest books, bridal party gift books, and more. Build the perfect book that suits your personal taste. Choose from 3 cover types, 5 paper options, 5 book sizes, and 5 different end sheets to create dozens of possible combinations. 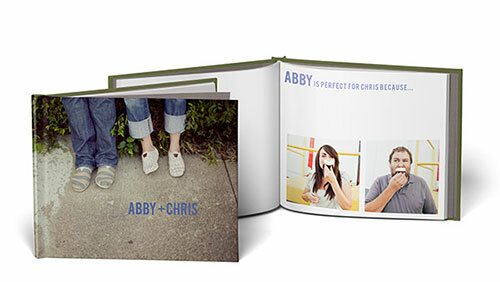 Create a show-stopping album in a large format photo book. 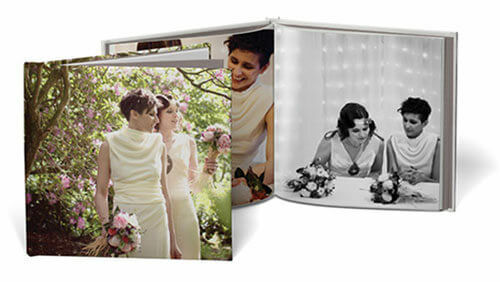 Give the traditional guest book an upgrade by using a photo book of your own pictures. 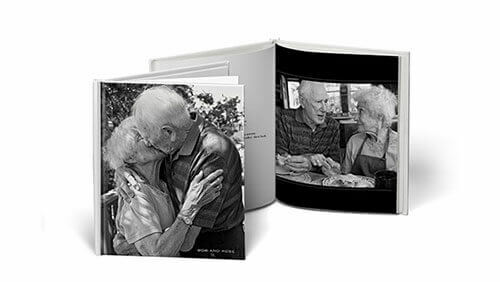 With photos of their first meeting, this great gift showcases a lifetime of love between Bob and Rose. 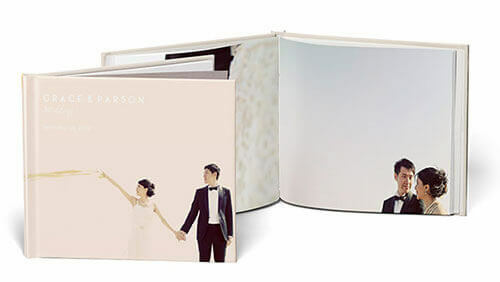 Grace & Parson preserved their engagement photos in a beautiful hardcover book. Make a beautiful keepsake to showcase your big day. Choose from a range of formats, trim sizes, and paper options. 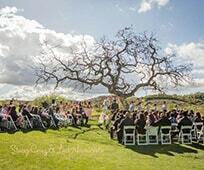 Adobe Lightroom makes it easy to organize and edit your wedding photos. Plus, Blurb is integrated into the workflow, so you can make a book with drag-and-drop ease. Already using Adobe InDesign? 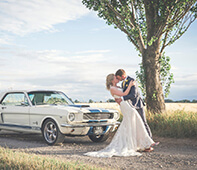 Install our plugin to automatically create Blurb-ready blank templates and upload your wedding book project without ever leaving your workflow. It’s never been easier to document your client’s wedding day and have Blurb fulfill their book orders. The best part? No upfront costs and you can bill your client through the book sale.